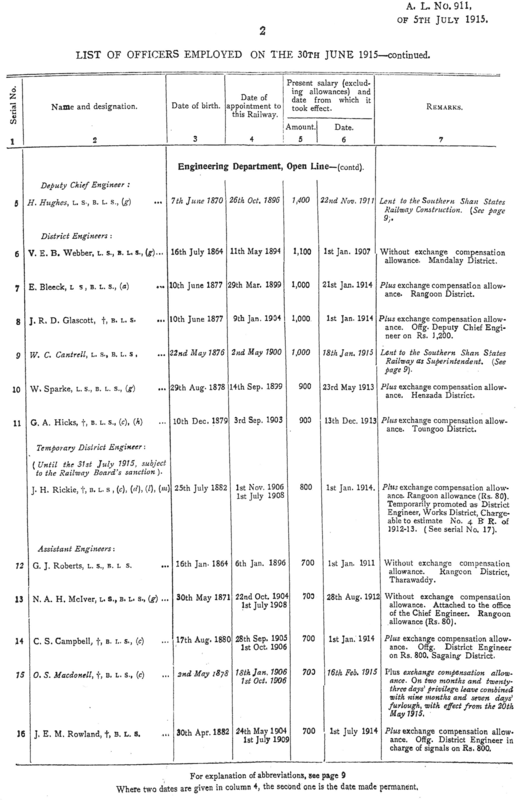 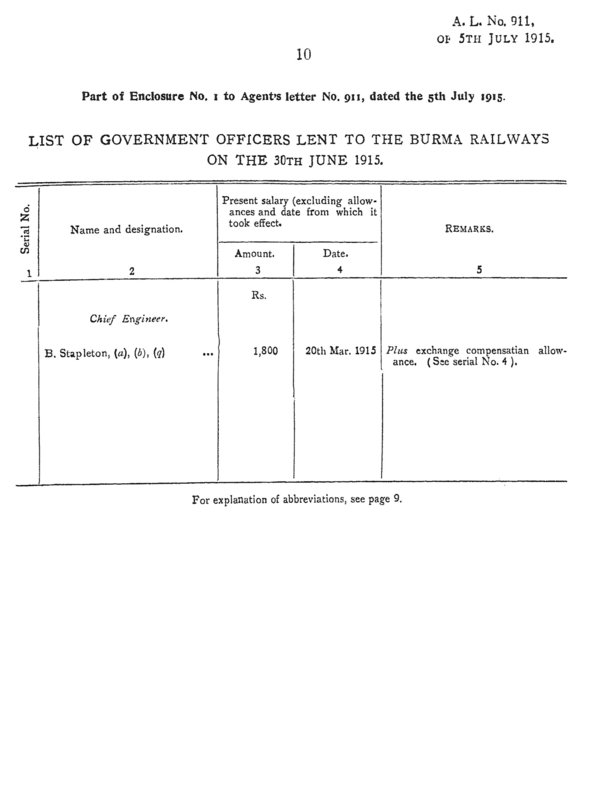 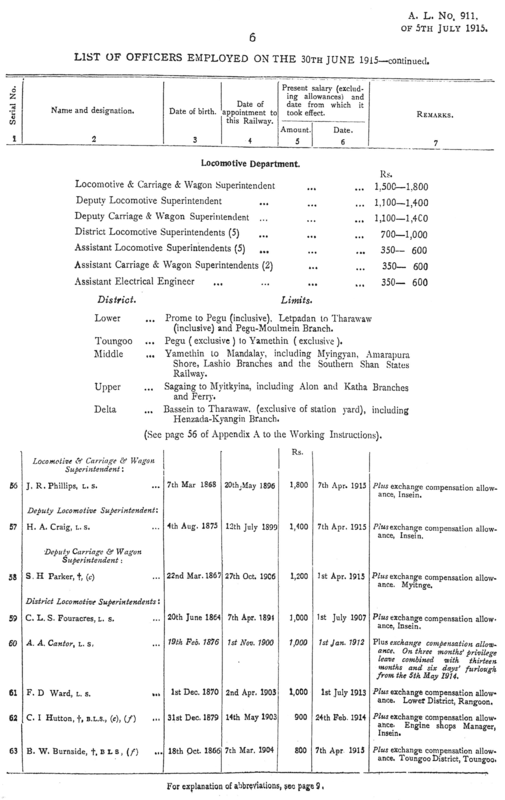 Index of Railway Officers and Employees. 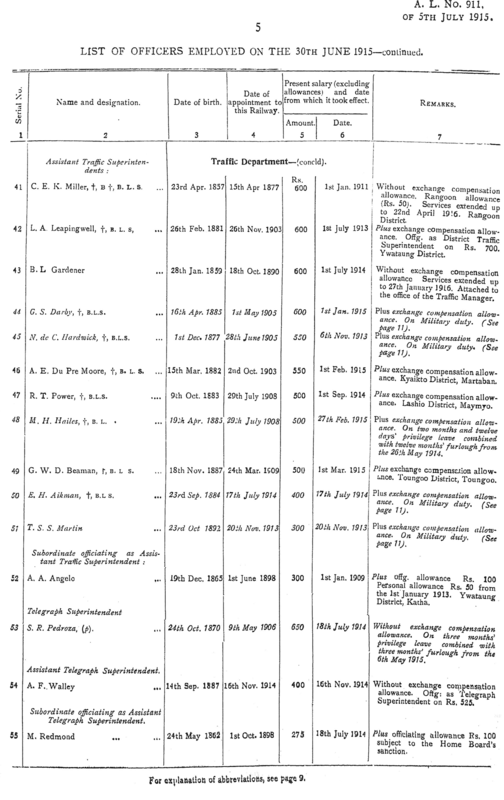 Where a page number is given, that refers to the images of List of Officers 1915 below. 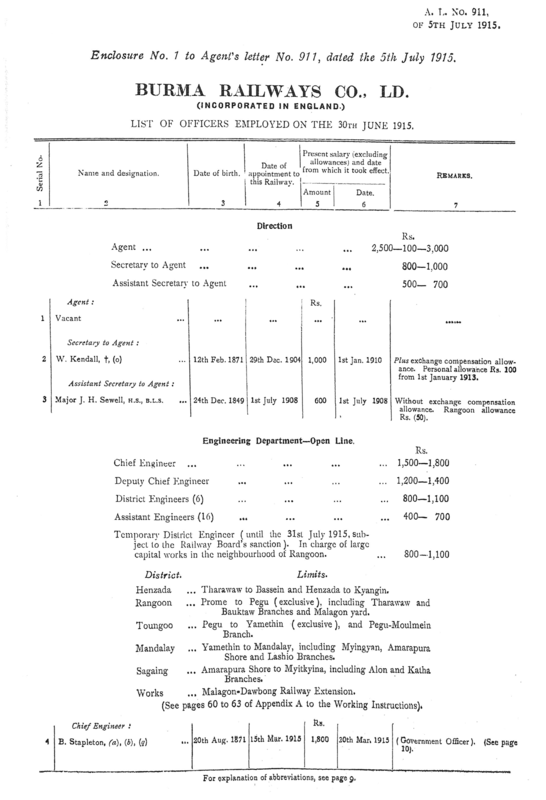 The list below contains personal information ranging from salaries, birthdays, date of appointment, whether on leave (and since when and for how long). 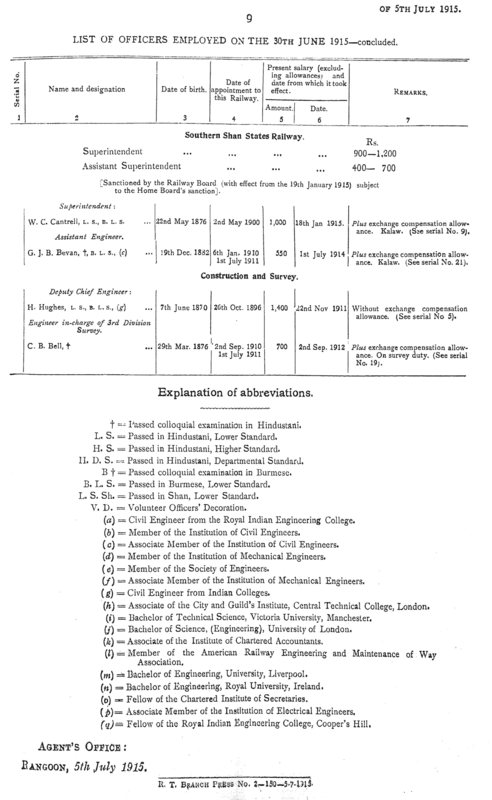 his membership of professional bodies and whether he was an officer in the Volunteers. 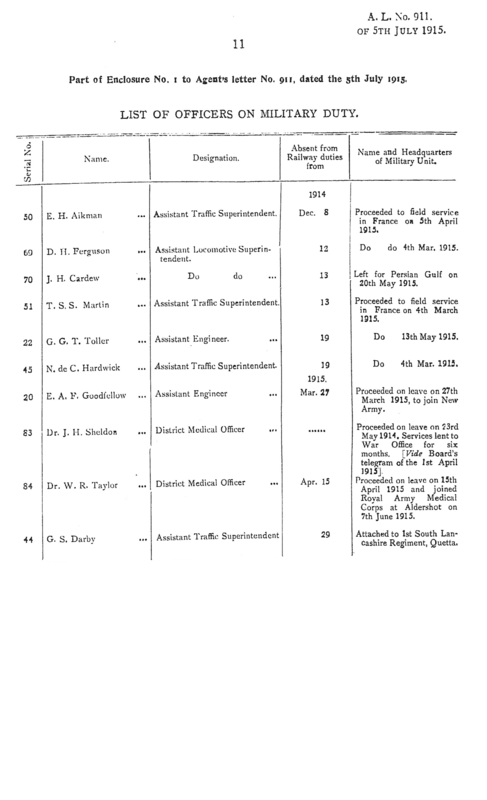 If he was on war service (WWI), this is indicated on the final page. 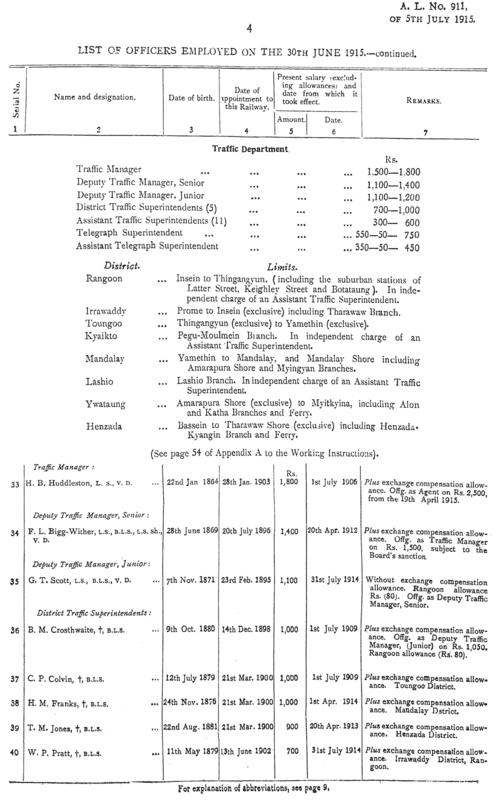 and slightly different information defining the limits of responsibility of the Traffic Managers. 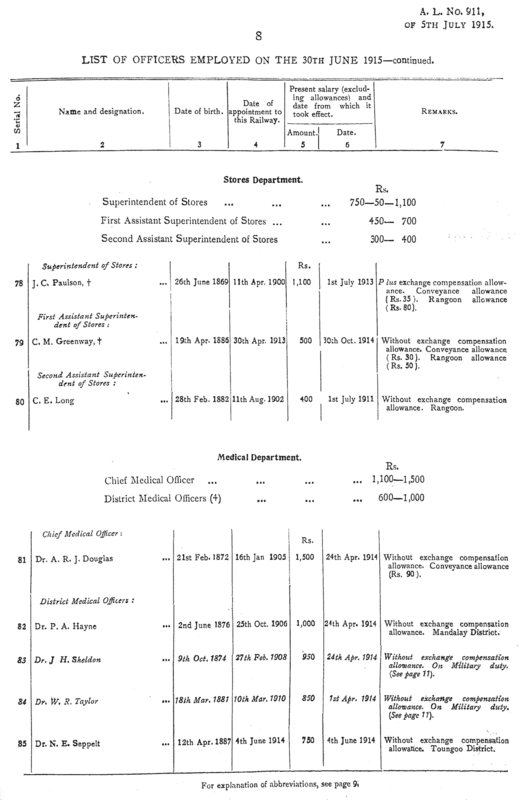 ​Employee Annual Reports, 1943-47 - many of which mention the evacuation. 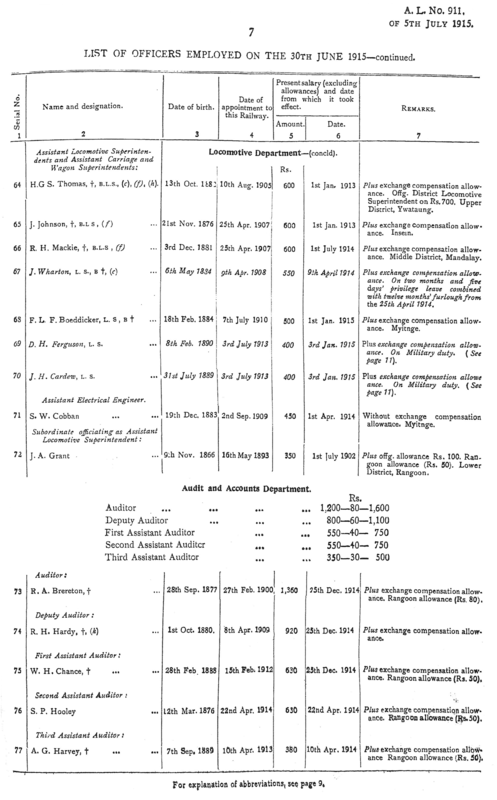 Employee Salaries 1922 - 1928 - contains date of birth, information on the post held/location, date joined and salary details. 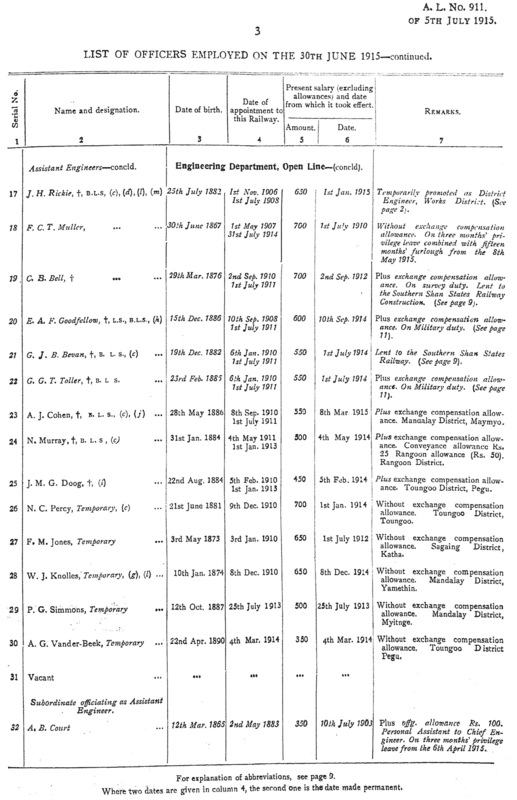 In this same section the years 1898 - 1921 will be added.